I always like origin stories. There’s always that point where the character needs to choose what they’re going to do with themselves. The same story could make you the villain, could make you vengeful distrustful, hard and cold; it could make you catatonic; or, it could make you something bigger, something better. This picks up where the videogame reboot did. When Lara Croft, driven in pursuit of adventure, for academic reasons and to solve a mystery, things go bad. Real bad. They try to find the island of Yamatai. But the ship sinks, people die. For 21 year old Lara Croft, that’s too much. 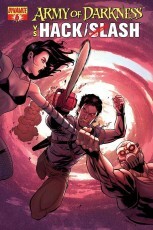 When she’s called by another of the trip’s survivors, Jonah, he starts ranting that they have to break the circle and the stole gold before a tidal wave overtakes the desert and leaves her stranded. After all they went through, they haven’t really escaped. 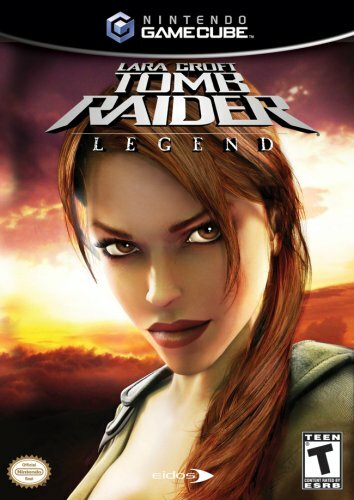 I don’t really know exactly what I am doing with this series, I haven’t played Tomb Raider since Tomb Raider: Legend for GameCube. Also, all the promos I’ve seen for the new game reminds me of Katniss Everdeen. 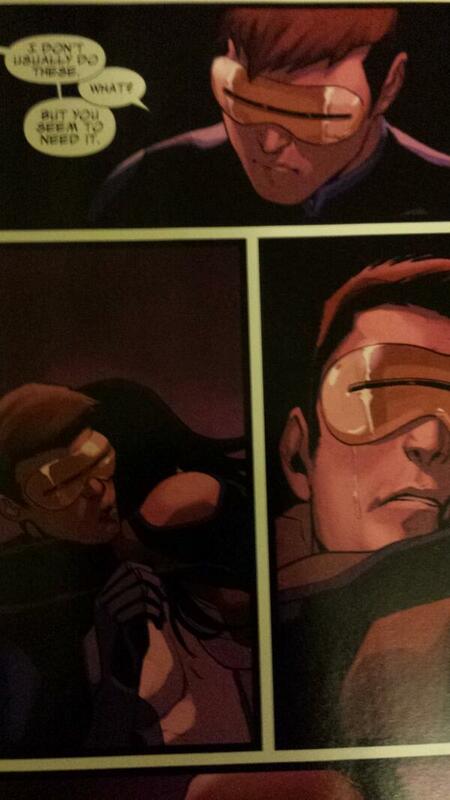 This comic book reminds me of Katniss Everdeen. Which is not a bad thing, per se. Also, I know I’m wrong and people are actually going to show up and tell me that I’m an asshat for comparing Tomb Raider with the Hunger Games, but I don’t even care. Bring it. This picks up where the new game left off, so your enjoyment will increase with your appreciation of that game. 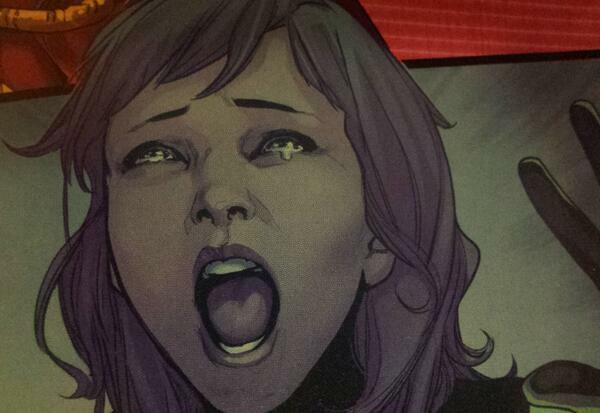 I’ll give whatever Gail Simone is doing a fair shot, when I saw this issue was titled Survivor’s Guilt! I instantly thought of Annisia from Red Sonja, and how survivor’s guilt made her the bad guy. Who we become under duress isn’t a calculated choice, if this is to fill the gap in between the new reboot and a possible sequel, I wanna see how LC grows up. Loki. There’s a lot to say about Loki. 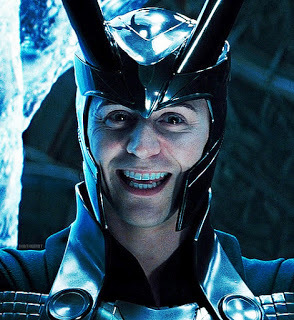 Tragic trickster, Thor’s foster brother, black sheep of the family, God of Evil, hilarious, powerful, spiteful. Made all the more popular because of the Marvel cinematic universe portrayl by the stunning Tom Hiddleston. Anyway, Loki died, was reborn into a new, youthful body, obtained the sword of Asgard’s earliest hero and is now a secret agent for the All-Mother, the ruling trio of Goddesses. We must wonder… does he? Earlier: Loki is soaping up when the All-Mother (Gaea, Freyja and Idunn) show up to give him a mission. This leads him to Avengers tower. Thor is Drinking, Cap and Iron Man are sparring, Hawkeye and Black Widow are lounging, Bruce Banner is working, Loki is laughing. Sounds right. Loki climbs the building, takes an extra peek at Thor, who is drinking mead and ordering around the help. Thor gets irrationally mad when he catches a whiff of Loki and tosses his hammer out the window at him. 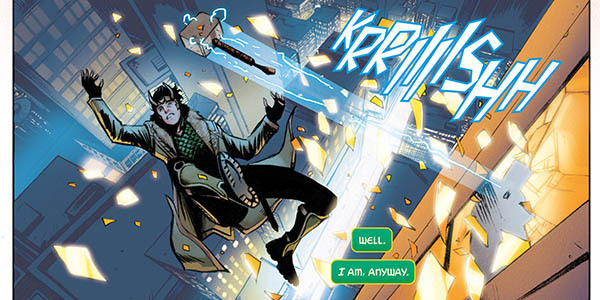 He falls past Hawkeye and Black Widow’s room (she’s reading a book while he plays video games) and Hawkeye shoots out a grappling hook arrow, which Loki grabs. Meanwhile, we get some backstory on Loki and his particular brand of magic. 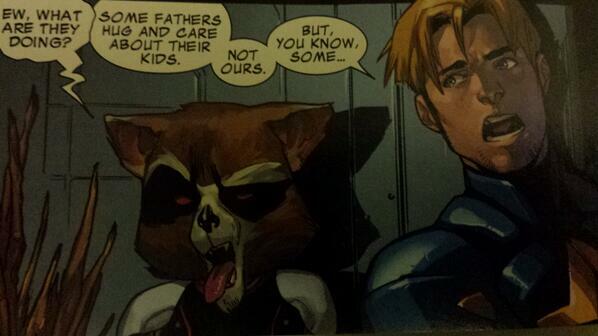 And why he wants to be the good guy. Loki, now inside, is asked to answer why he has come. Loki babbles that he is the All-Mother’s Undercover Agent. And then he tells Thor that Stark still has Thor’s DNA from Civil War when they cloned him to make a monster(retconned but not gone!). Thor, predictably, challenges Iron Man…and Loki runs off. 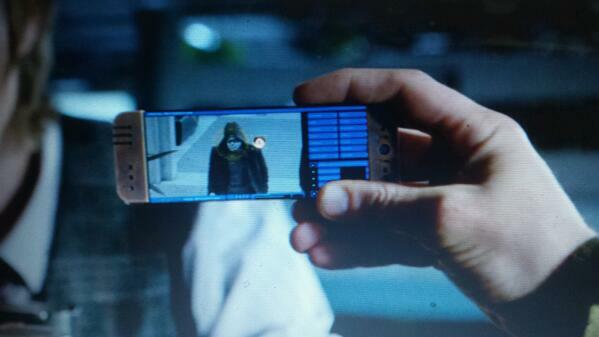 AND then he tricks Hawkeye into thinking Bruce Banner is him, and so he shoots Banner who Hulks out. Nothing more distracting than that. Loki reaches the Avenger’s Database. What he’s looking for… is himself. The files they have on him. The God of Mischeif that became the God of Evil. The Villain. The Loki that burned. He purges the files. People like patterns, they expect him to become that. He’s trying to reboot his story. Thor yells at the All-Mother that women belong in kitchens, not on thrones. in a bar fight, hassling a wench. And then we get a glimpse at the whole mission. Corruption has entered Thor’s heart. The All-Mother sent Loki to cast it out, but he needed a sword to make Thor see the truth. To suffer the blade is to suffer all the truths you deny yourself. Thor sees and casts out the corrupt entity which Loki captures in a jar. Loki and Thor get their brotherly moment. There’s a Slashfic joke and they share a drink. And Loki escapes shortly after. Back with the All-Mother we find out his reward. For each successful mission, one crime purged from the memory of all of Asgard. He leaves them in the jar. What’s inside is truly bewildering and terrifying. What will it mean for our would be hero? I love all of this. We have this anti-hero character, reborn and trying to make amends. He’s not granted instant redemption and he knows he has to work with that. He’s not surprised that no one trusts him. But he wants to be good. No one is the villain in their own story, everyone thinks that what they are doing serves a purpose, everyone wants to be the hero. I really like the idea of Loki overcoming himself in his quest to change his fate instead of overcoming, tricking or otherwise convincing others. Al Ewing did a great job on this story -I’m not a huge fan of jumping back and forth, but it was well done. 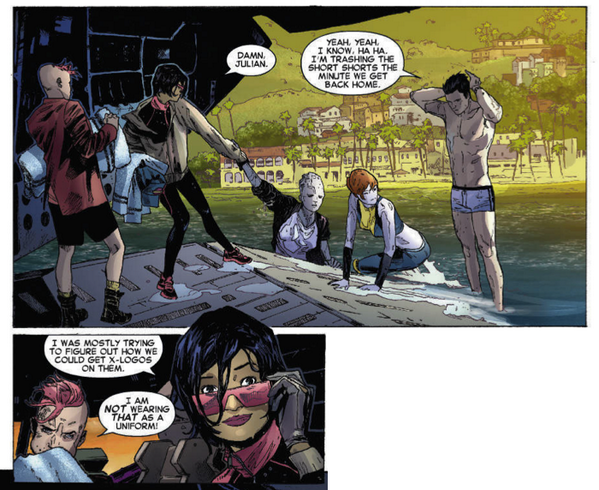 Lee Garbett’s art was expressive and playful and perfect for this story.